Contact Hollywood Bike Accident Lawyers Gerson & Schwartz, P.A. There are many cyclists trying to navigate through the streets of the sunny Hollywood Beach, but sometimes they get hurt by other people while riding their bikes. There are between 80 and 110 bike accidents in Hollywood every year. More or less, that's one accident and injured cyclist in every three days. Fortunately, fatalities are not as common. The last registered fatal bike accident in Hollywood was registered back in 2012 when three people lost their lives on Hollywood bike lanes. Even though lethal bike accidents are not present in the last few years, bike riders usually suffer serious injuries when involved in accidents. Helmets are the most common protection, but aside from that, there is not much that can be done in terms of protection. That's why cyclists often end up with broken bones, serious head injuries, spinal and back problems, and other serious health conditions. Getting any type of personal injury in a bike accident in Hollywood may entitle you with the right to seek damages recovery for your harms and losses. This may include, but is not limited to medical expenses, lost earnings, scarring, disfigurement, pain and suffering, disability, and other damages as recognized under Florida Statutes. To learn more about your chances to recover financially from your personal injuries, call the Hollywood bike accident lawyers at Gerson and Schwartz for help. We’ll put our 40 plus years of experience at your service. Call us for free consultations at (305) 371-6000 and present your case to us. Then, we will provide you with your options to the best of our knowledge. The consultation doesn’t mean that you have to hire us, but if you do, we won’t ask for fees unless we get you compensated. Hollywood has a nice environment for cycling. 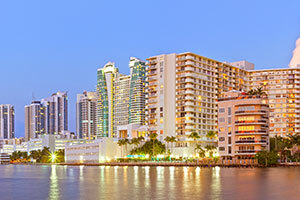 It is located on the Atlantic shore, between Miami and Fort Lauderdale. Hollywood is home of 150,000 residents. Most of them speak English as a first language, but the Spanish-speaking community is also significant with 20% of the population. A large number of the people there are employed by the Memorial Hospital System. The neighboring cities and communities include Dania Beach, Hallandale Beach, Pembroke Pines, Miramar, Davie, Cooper City, Pembroke Park, and West Park. Moving from these cities to Hollywood by bike is easy but can be dangerous. The damages recovery process is not easy for those who are not experienced in them. Call the Hollywood bike accident lawyers at Gerson and Schwartz to help you get compensated for your injuries and get yourself peace of mind. You take care of your physical and emotional recovery; we will take care of your legal recovery. We’ve done it for our clients before in our 40 plus years of experience. Philip M. Gerson is a board-certified civil trial lawyer who founded the firm. 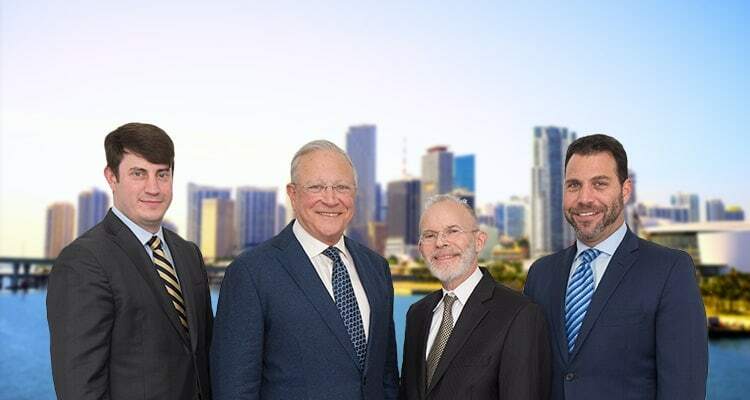 His partners Edward S. Schwartz and Nicholas I. Gerson round out the Hollywood bike accident injury team at Gerson & Schwartz. Call us for free initial consultation at (305) 371-6000. We ask for fees only when we get financial recovery for our clients.